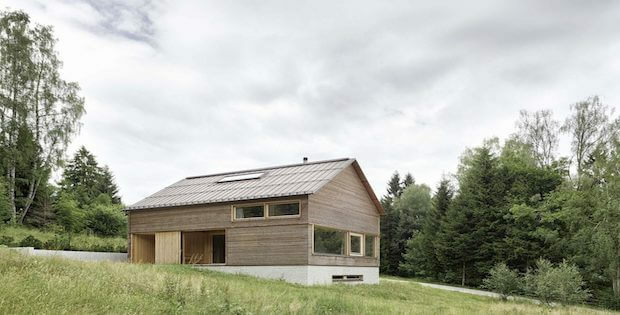 THIS HOME ON A PLATEAU WILL TAKE YOUR BREATH AWAY! 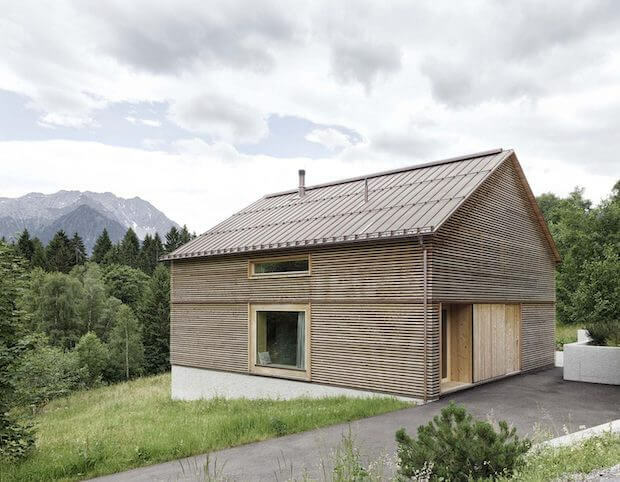 The House in Tschengla’s design in Burserberg, Austria is inspired by the old Alpine farmhouses. 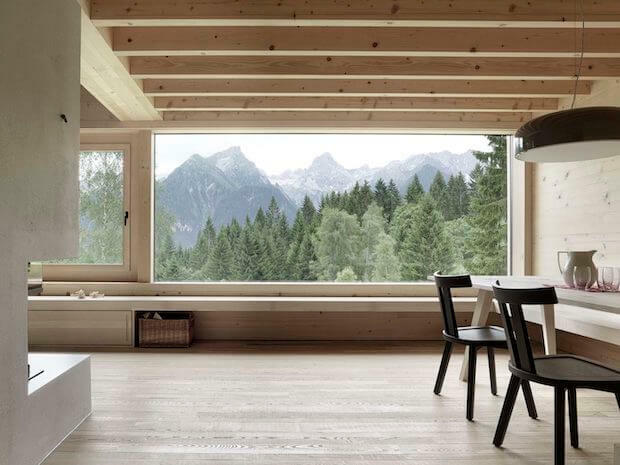 It features many windows all around which take advantage of the mountainous views. The living area has an open floor plan which opens up the home alongside the panoramic window. 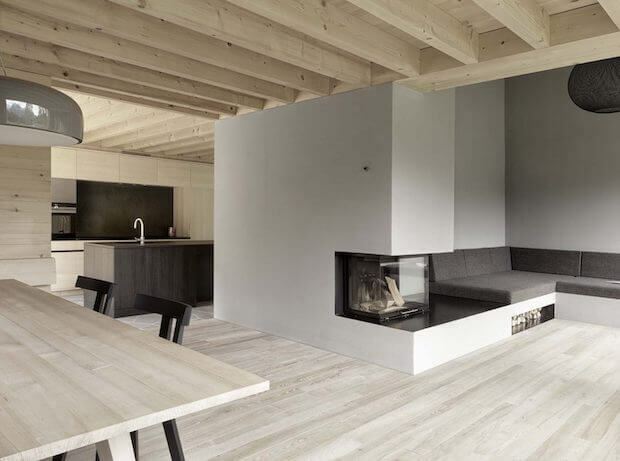 The interior has a minimalistic design. Natural light illuminates the home throughout thanks to the many windows. 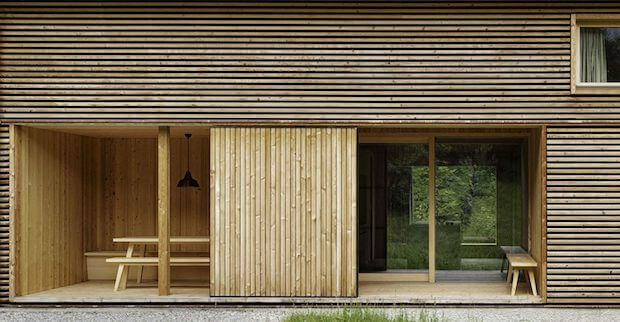 The muted color palette of the interior helps emphasize the lush green views of the outside. 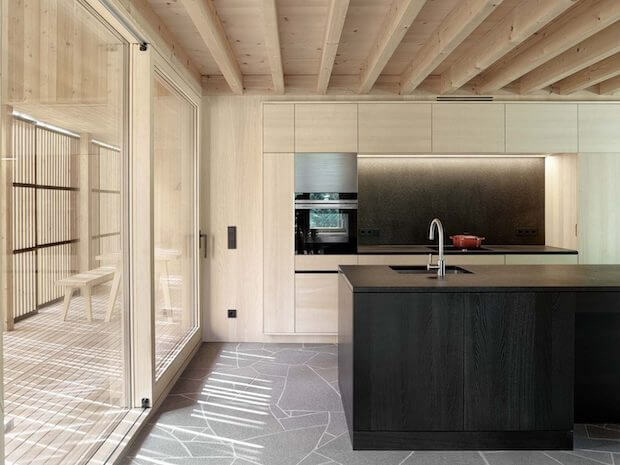 This wooden holiday home on the mountain plateau of Tschengla was built for a family who lives just thirty minutes away, in the Austrian town of Feldkirch. A stairwell leads to the attic level: fit with bedrooms, a workplace, a small living area and a library.